WHEN Every first, third and fifth Tuesday in the month 2-5pm. WHERE Mainly Group Leader’s home in Shepperton but other locations at holiday time. PREREQUISITES: A love of words. CHARGES 50p to cover tea/coffee & biscuits. EVENTS None other than Christmas lunch. 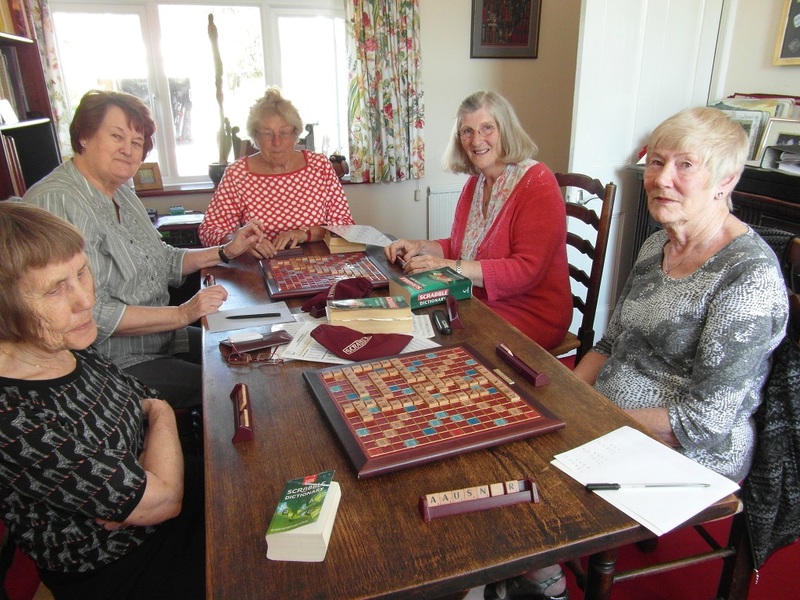 GROUP We are a sociable group – we play to win but in a friendly way! Everybody plays at the same time (no sitting out) as we use several boards simultaneously. Do you enjoy being competitive or just prefer to play for fun – this is the group for you. We have great fun playing 3-4 games in an afternoon. If you are unsure of a word dictionaries are on hand or other players will help. Please contact the group leader via email by clicking on the bird in the box with the bird in it.